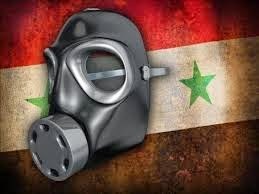 With the constant concern over the use of chemical weapons in Syria, Western media outlets consistently seize on every opportunity available to lay the blame of any deployment of such weapons on the back of the Assad government. Even when the evidence points to the death squads instead of the Syrian government, the West continues to prattle on about Assad’s crimes against humanity all the while ignoring that evidence incriminating the death squads. Other cases pointing toward the use of chemical weapons by the death squads, however, are simply ignored in total. Indeed, this is the situation regarding a video that recently surfaced from the Deraa province near the Syrian/Jordanian border where a number of dead Syrian soldiers can be seen strewn about a field in a manner that seems to indicate that they were killed by chemical weapons. More specifically, it appears that these soldiers may have been killed by a blistering agent.